I have to admit, I've become quite intrigued by The Royal Wedding. I find it so romantic. A real life fairy tale. I find all the customs and traditions so fascinating as well--traditions that have existed since 1066. I thought Kate's dress was perfectly lovely and so elegant, while Prince William looked handsome and dapper in his uniform. 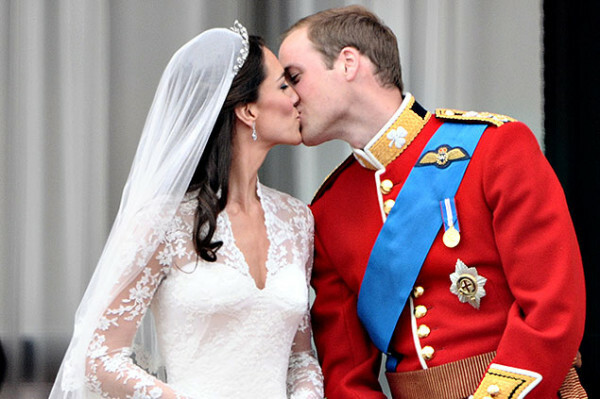 I love a good wedding, and there is nothing like a prince marrying his princess. I can't get over it! So lovely! What a wonderful life they have before them. Precious moment: When Harry turns to William and says, "Wait until you see her." And when he does he says to her, "You look beautiful." She smiles a blushing "Thank you." this gave me goose bumps! she looks so pretty! A Royal wedding doesnt happen to often. It was fun to witness one again. They both seem down to earth. I hope she can get used to life as a princess better than his mother (Diana) did.